Silver is a broad spectrum antimicrobial agent whose efficacy has been proven against the microorganisms that surround us today such as E. Coli, Legionella, Pseudomonas, Salmonella, S. Aureus, Aspergillus niger, among others. 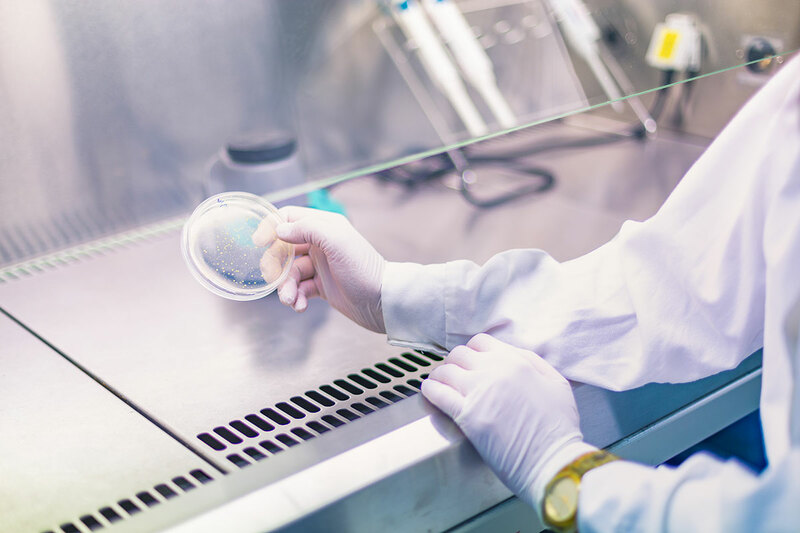 The active principles of silver manufactured at Argenol Laboratories prevent the growth of bacteria, moulds and fungi, and of other microorganisms. Good part of them are described in European Pharmacopoeias. The experience of the technical department of Laboratorios Argenol in manufacturing silver derivatives has allowed to develop different presentations of high quality and effective silver, obtaining certificates such as Good Manufacturing Practices (GMP), granted by the Spanish Agency of Medicine and Health Care Products. This is why colloidal, metallic or ionic silver is used as an active principle in medicines and health products to prevent infections. Colargol, silver proteinate and vitelinate are the main colloids manufactured by Laboratorios Argenol, according to European Pharmacopoeias and according to the Good Manufacturing Practices (GMP). Active principles, manufactured according to the Good Manufacturing Practices (GMP), and used as antibacterial agents for the prevention of infections in bandages and wound treatments. An active pharmaceutical substance used to prevent infections in treating wounds. It is also used in oral treatments and oral care. It is manufactured according to the Good Manufacturing Practices (GMP). An active principle manufactured by Argenol Laboratories according to European Pharmacopoeias and according to the Good Manufacturing Practices (GMP). It is used as an astringent and gastrointestinal treatments. An active principle offered by Laboratorios Argenol, according to European Pharmacopoeias and according to the Good Manufacturing Practices (GMP).